The Adventure Starts Here: Birthdays X 3! This weekend was a whole lot of fun, but boy was it exhausting! 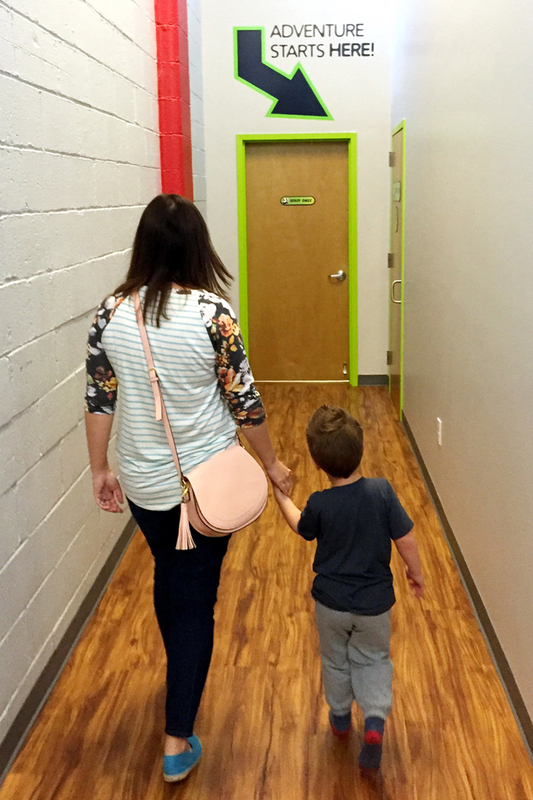 Noah was invited to three birthday parties, two of which we were able to go to. 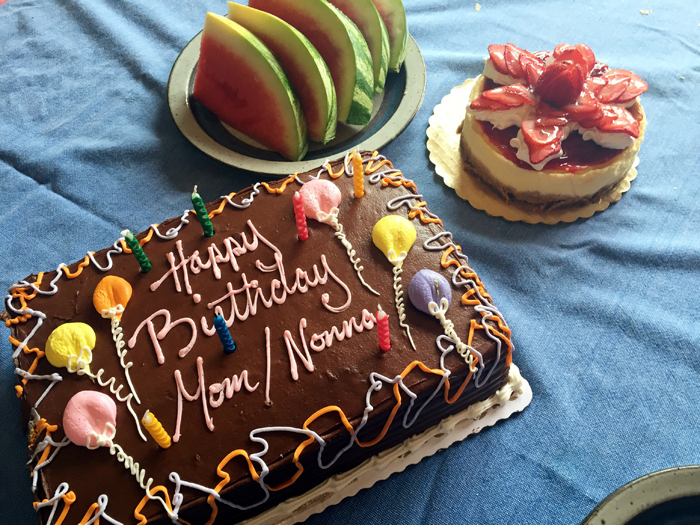 On top of some high energy 4 year old birthday parties, we also celebrated my MIL's (Nonna) birthday on Sunday. Needless to say, we sang happy birthday multiple times and ate a lot of cake this weekend! And there isn't much time to recuperate this week... in addition to our normally scheduled activities (school, swim, soccer, and nature club), I also have to get us all packed for a holiday weekend getaway. Life is fun, but boy is it busy! Noah's sleep schedule has been thrown off because of it too! Last week, he took naps 3 days in a row, resulting in a super late bedtime (think close to 11pm!!!). On Sunday, we were able to avoid a nap, but he was worn out and begged to go to bed at 5:30pm. Let's hope we can get back to our normal routine this week before we head out of town. Anyway, back to our weekend of birthdays. 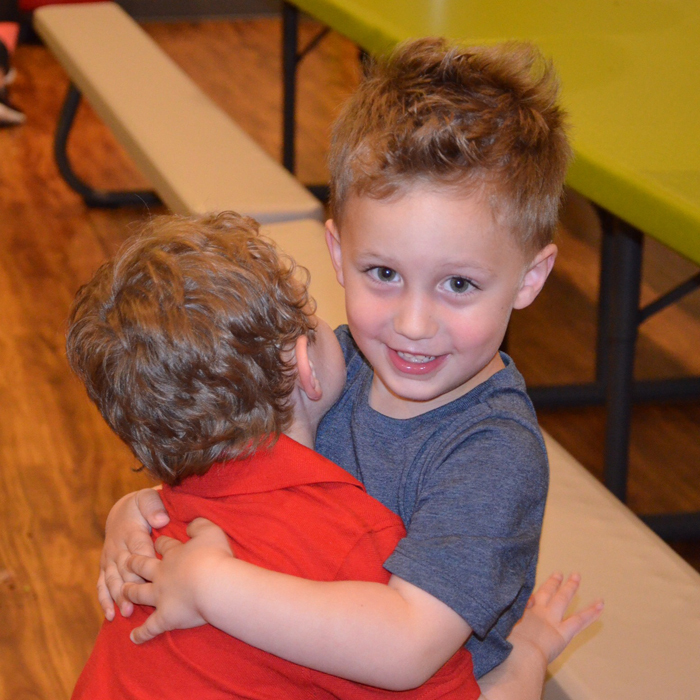 On Saturday, we had parties for two of Noah's friends that he's known since he was 6 months old. It's been so much fun watching these boys grow up together. Apparently 4 year olds like to jump, because both parties were held at these bounce house places. If you don't have one near you, they are super cool. 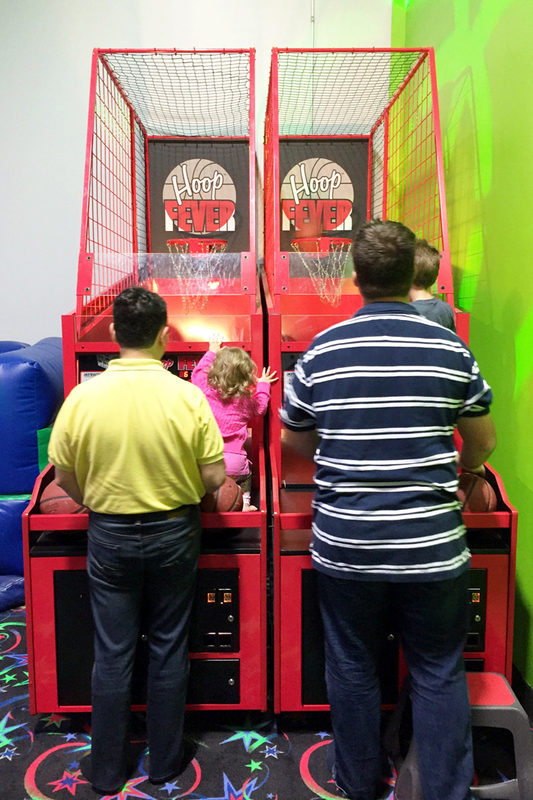 It's basically a party venue set up in a warehouse where they have large rooms filled with bounce houses, obstacle courses, and slides, as well as a few arcade style games. You go from room to room and then finish with pizza and cake. While they were both jumping parties, they were in different towns and each location had something unique to offer. Noah had an absolute blast at both! ^^^There was no way we weren't going to take a photo with this sign! 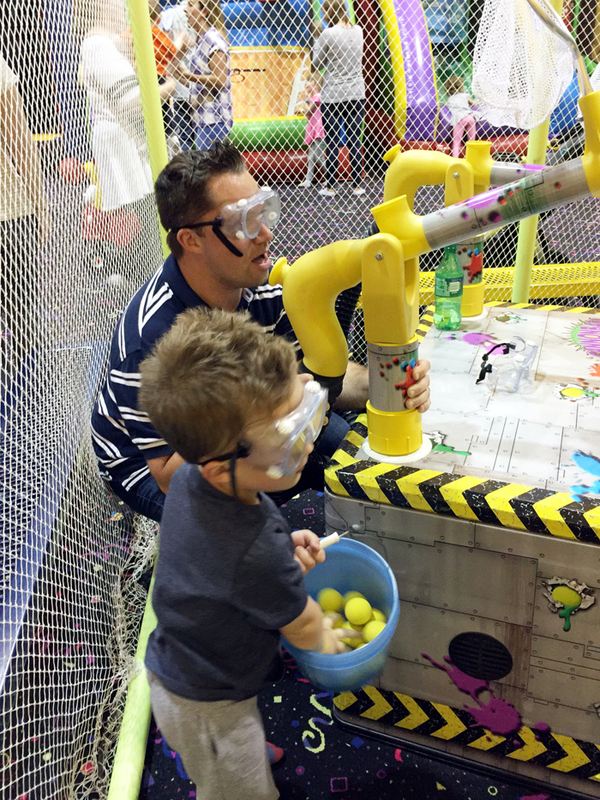 ^^^ I think the dads had just as much fun as the kids did! ^^^ such a cool Chuggington cake! Noah specifically requested the cupcake under the green train. You bet I told him that the random cupcake he was served was totally THAT ONE! ^^^ the sweetest birthday hugs I ever did see! So tell me, how did you spend your weekend??? 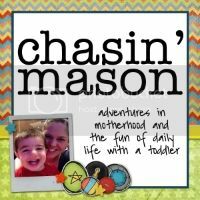 Cash is part of a group of friends that all share birthdays a few weeks apart & have been friends since birth. It is so sweet! 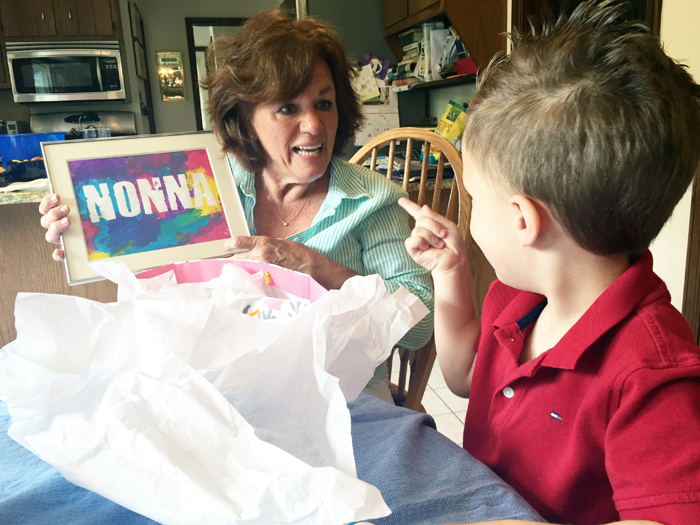 Did you use stencils for Nonna's name painting gift? I love how it turned out! Love that sign! :). Sounds like a great weekend but goodness is be exhausted too. 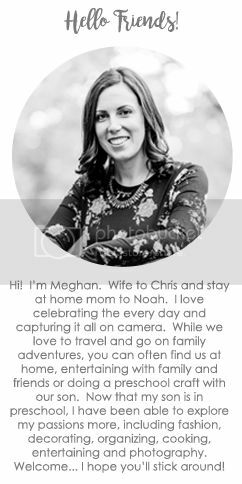 Can't wait to hear about your trip this coming weekend. I love the sign!! And I love that cake. Wow, that weekend with all those bounce houses and cake sounds like a 4 year olds dream!! That train cake was so cute!!! What fun! I love that you got a pic with that The Adventure Starts Here sign!! 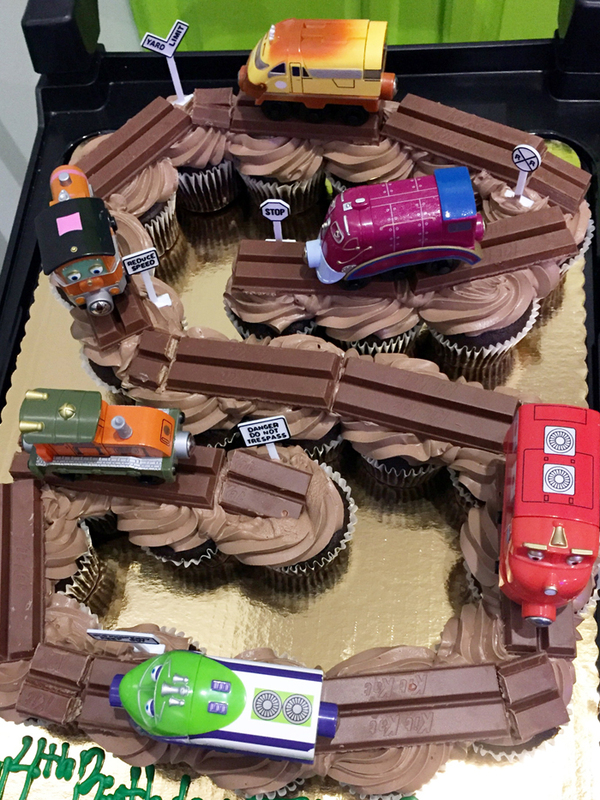 That train cake is so cute! What a fun weekend! You were certainly busy. That train cake was adorable! Is that a sign or what?! And also, best cake ever! People are so creative! What a weekend! That sign is simply just the best EVER! For a second I thought you photo shopped it in there, lol. How perfect is that sign? That cake is pretty stunning too! We have the jump houses here too. Last year they were a bit overwhelming for Lily but I think this summer they will be a huge hit! Whoa, three birthday parties is a lot. But so much fun, too. Haha! I would have HAD to take a picture with that sign as well. Love it. The picture that Noah made for his Nonna is so sweet and so special. I bet she melted. That sign is pure perfection in your world. 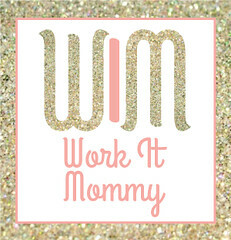 I can't believe how it's your blog title and you discovered it.